Bluetooth Motorcycle Helmets are a must-have for anyone who wants to safely talk on the phone or listen to music while riding. 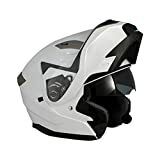 These helmets come with inbuilt Bluetooth connectivity which links directly to your mobile phone, as well as a microphone and speaker inside the helmet. They notify you of incoming calls, which you can choose to accept or decline with an easy to reach button or another mechanism. The first factor you should keep in mind is whether you will be using the helmet for listening to music, or for taking on a phone. The microphone and speaker quality of helmets are variable, so for calls, you will want to choose the option with the clearest microphone, will music will require good speakers. If you plan to use GPS with the helmet, another consideration is ease of use. Some helmets have complex controls which can be difficult to use as you ride. For complex tasks such as searching on GPS, this could be a large disadvantage for the helmet. Finally, as with any motorcycle helmet, comfort and visibility are important. 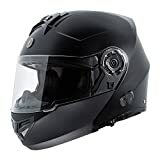 Some cheaper options within the range of Bluetooth helmets have cheap build quality despite the technology they include, so these should clearly be avoided. Certification from ECE and DOT is a great way to check the safety of a helmet, as these are well-reputed transport organizations. Made from high-quality materials, including a black polycarbonate outer, and a tinted sun shield for 95% UV protection. A single button raises the visor for easy visibility, and even with gloves on it is easy to use. DOT certified this helmet will afford great protection in the event of a crash. The speakers are loud and clear, and the microphone gives a clear sound that is easy for callers to respond to. TORC have integrated BLINC Bluetooth players into many of their helmets, and the combination works well. 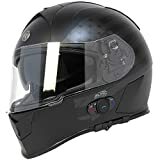 The system is fully integrated into the chamber of the helmet, and also features excellent speakers for high-quality playback of music or calls. Combined with smartphone voice recognition, commands are easy to implement when using GPS or music functions. This metallic and stylish helmet are perfect for phone calls on the road. 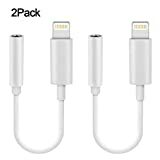 The Bluetooth system functions with most Bluetooth enabled smartphones and is capable of receiving GPS instructions as well as playing music libraries and GPS instructions. The helmet is comfortable and distributes pressure evenly around the head so that no headaches are caused by this helmet from HJC. This lightweight but highly protective helmet is molded to the shape of your head using the gel foam technology. The inside is able to be removed and machine washed for hygiene. 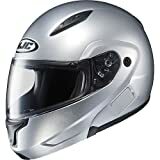 The helmet is approved by both the DOT and the ECE, showing that it is at the highest level of safety technology. The visor offers high visibility and is anti-fog. The Bluetooth system is basic but functional, perfect for taking calls and intercom communication when riding from work to home and around the town. BILT have made this helmet so that it fits easily in a range of head shapes. Easy to put on and take off, it also looks sporty. 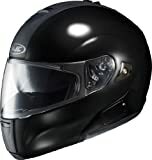 The matte black paint is durable and long-wearing, and the helmet itself meets a high level of safety testing. It is comfortable to wear, and the integrated Bluetooth system doesn’t get in the way of normal riding or disrupt the elegant look of the helmet. Top 10 Best ATV Mud Tires in 2019 Reviews. With music, calling and GPS capabilities, it can do the job it needs to while looking good and protecting your head with the latest technologies. The full face visor on this sleek modular helmet is easy to use and looks great. Considering the price range, this is a well-made and expensive looking helmet. The Bluetooth system is made by BLINC and lives up to their good name in the world of Bluetooth. Listening to music is easy, with the crisp tones of the speaker loud and clear at speeds around 50mph. The audio is capable of playing both GPS instructions and calls, as well as having a clear microphone to answer with. The plain black exterior of this helmet may not seem like it includes a full Bluetooth system, but looks can be deceiving. The subtle, standard look of this helmet, in fact, conceals one of the best Bluetooth systems on the market. It is effective in blocking out wind noise under the speed of 60mph, but at faster speeds, some sound may be lost. Perfect for riding around a home or to work. This helmet does not come with its own Bluetooth set, but it is completely enabled and ready for Bluetooth installation. The sound chamber works well to block out the noise of the road from calls, and the voice is amplified within the chamber. The easy clip and go fixture makes installing a Bluetooth set extremely easy. The helmet is protective and meets the DOT standards. With a sleek look in glossy black, this Hawk helmet certainly looks high-tech. The Bluetooth system is functional for answering calls, but the controls are ineffective when performing complicated tasks such as using GPS. For those that want a helmet which can take basic calls or intercom at an affordable price, this is a good option. The modular visor is another advantage, and the helmet has useful structural mechanisms that allow for comfort and visibility. This Bluetooth helmet looks good and feels comfortable on the head. The flag graphic is interesting and adds a little flair to the otherwise plain black exterior. Reviewers say that the Bluetooth system included with this Torc helmet makes tasks such as using GPS simple. Depending on the speed of travel, the microphone in this helmet is very effective. At higher speed (60mph+) it picks up too much wind noise for a comfortable conversation, but this is to be expected. 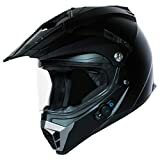 For the low price, it delivers as a helmet with effective Bluetooth that is also comfortable. 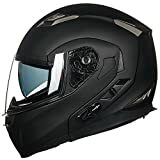 This collection of Bluetooth enabled motorcycle helmets is designed to help you make your choice for 2019. 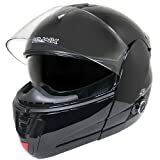 With so many Bluetooth phones and the need for increasing connectivity, having a high-tech motorcycle helmet has become something of a necessity for those who ride frequently. Being able to communicate on the go can help with work and organization, as well as the added bonus of letting you listen to your favorite music while riding.